Science museums are one of the most fun ways to learn how science works—without making a mess in the classroom or kitchen. With live demonstrations, theaters and interactive exhibits, students at any level will enjoy learning about all types of science. Each of these science museums has something unique to offer, so check them out and see what interests you! 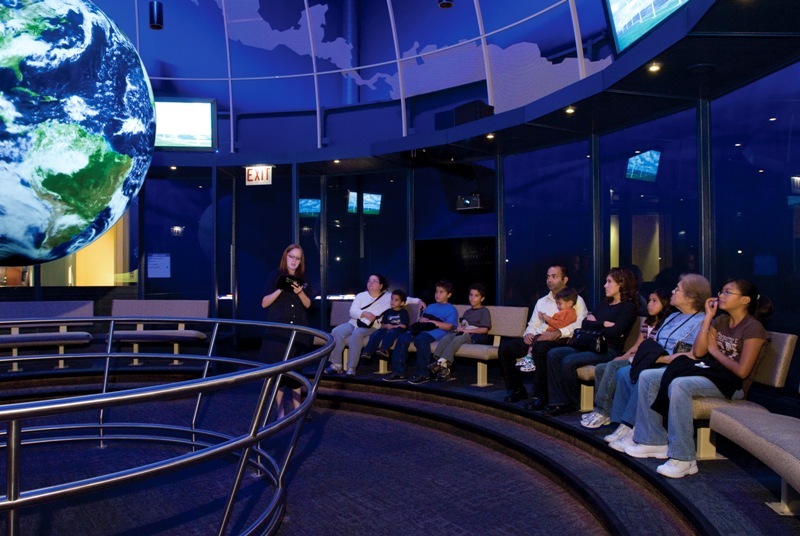 Student Travel Planning Guide is here to give you the inside scoop and tips on the 10 top science museums in the Midwest. Chicago’s Museum of Science and Industry sits next to Lake Michigan about ten minutes away from downtown. It opened in 1933 and is the largest science museum in the Western Hemisphere. The museum has wide range of exhibits and activities involving science for kids, teens and adults. Year-round exhibits include Future Energy Chicago, Coal Mine, Earth Revealed, Genetics and the Baby Chick Hatchery, Science Storms, Henry Crown Space Center and more. Its Omnimax theater is currently showing Space Junk and The Last Reef. The exhibit YOU! The Experience is an interactive exhibit that is one of the first and largest exhibitions to showcase the connection between the human mind, body and spirit in the 21st century. Students on field trips receive worksheets before, during and after tours. Also, free classroom activities are offered for any age group. Discovery World Museum, also known as The Center for Public Innovation, sits on Milwauke’s lakefront. This museum offers exhibits focusing on innovation and technology as well as Great Lakes education and conservation. One exhibit explores how football gear has changed over time to protect players and improve skill. This museum also has its own aquarium and a 3D room where guests can enter virtual worlds such as the Milky Way or Boeing aircrafts. Also, the world’s largest model of the Great Lakes is in this museum. Discovery World Museum’s programs involve mixing food and science, designing products and creating your own scent to take home. The museum also offers activities for boy scouts and girl scouts. The museum offers student lab programs for elementary, middle school, and high school students. These programs involve biology, electricity, chemistry, product design, animation and even a floating classroom for water education. The Great Lakes Science Center is located between Cleveland Browns Stadium and the Rock and Roll Hall of Fame at North Coast Harbor on the shore of Lake Erie. The museum building includes permanent and traveling exhibits, a meeting space, a restaurant and an Omnimax theater. The NASA Glenn Visitor Center is a part of this museum where guests can see what it’s like to live and work in space. “Science phenomena” exhibits allow guests to investigate electricity, magnetism, light, optics, motion and mechanics. The BioMedTech gallery shows how genomics, stem cells, prosthetics and medical imaging work. Live science demonstrations feature explosions, rockets, electric shock and more. Field trips can include free science demonstrations for pre-k through grade 12. These demonstrations focus on recycling, physics, gravity, friction, energy and biomedical technology. The St. Louis Science Center is unique because it has its own planetarium with a new exhibit. The James S. McDonnell Planetarium is now featuring LASERIUM: The Original Laser Light Concert. Here, guests watch as lasers light up a black background in sync with a playlist including Beach Boys, The Beatles, Elton John and more. This museum has more than 700 hands-on exhibits that span the broad spectrum of science, including physics, energy, life science, ecology and environmental science. For group tours and field trips, the museum’s education staff members create a customized experience. Options include the planetarium, special exhibitions, an Omnimax theater, a discovery room, and science center attractions. The Center of Science and Industry is one of the largest modern-built science centers in the United States. 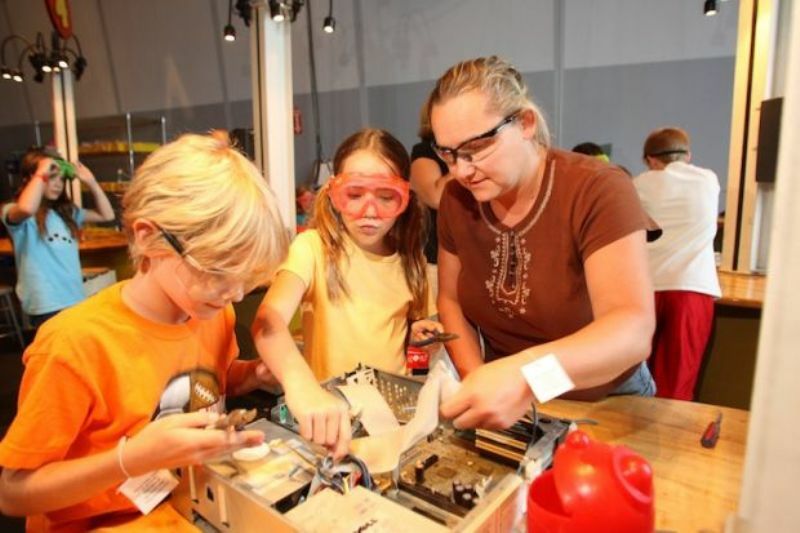 Parents Magazine named COSI the number one science center in the country in 2008. COSI established WOSU@COSI, the only working television station in a science center. This museum also partners with the Ohio State University (OSU) Labs in Life: working research laboratories created through a partnership with The Ohio State University and staffed by OSU researchers. The center focuses on health and medicine, energy and environment, technology and innovation, and Early Childhood Education. Exhibits at COSI involve exploring technology through time, tinkering with gadgets, researching in laboratories, traveling through space and more. This museum also includes a children’s museum that offers workshops for infants, toddlers and preschoolers. Educational programs offer trips to your own school, camp-ins, field trips, afterschool workshops, interactive videoconferencing, and science career exploration. The Michigan Science Center features five theaters—Michigan’s only Chrysler IMAX Dome Theatre, Dassault Systèmes Planetarium, Toyota Engineering Theater, Chrysler Science Stage and DTE Energy Sparks Theater—to hands-on exhibit galleries focusing on life, space, engineering physical science and more. It is one of the ten largest science museums in the United States. The Toyota Engineering 4D Theater is currently showing Adrenaline. In Adrenaline, you will meet an Olympic kayaker who designed and built the world’s largest man-made whitewater rafting park; a NASA Jet Propulsion Lab engineer working on a six-legged robotic rover for the next moon mission; and a Toyota engineer who will take you off-road and on the race track as she designs an air delivery system for the Tundra full-size pickup truck. Permanent exhibits involve space, health and nutrition, motion and engineering. Field trips here can include scavenger hunts and sessions for pre-k through grade 12 students. The museum’s website also provides pre-school to high-school-level worksheets to be completed while visiting the museum. The Science Museum of Minnesota is a large non-profit regional science museum located on the banks of the Mississippi River in downtown St. Paul. This museum uses live theater in their exhibits as a humanizing interpretive tool. Other exhibits include a human body gallery, cell lab, dinosaurs and fossils gallery, an experiment gallery and more. The exhibit Big Back Yard features gardens, mazes and a 9-hole miniature golf course. The museum’s Science Learning Division and St. Croix Watershed Research Station provide educational information in the areas of anthropology, paleontology, biology and environmental science. Located in one of the museum’s entrances is the National Park Service’s Mississippi River Visitor Center. National Park Service Rangers teach visitors about the 72-mile corridor called the Mississippi National River and Recreation Area and offer tips on canoe trips, biking and hiking trails, and more. There are also exhibits about river biology, culture, and history. Learning labs and other student-focused activities are offered at the museum, but educators can also book assemblies and residencies at their own schools. 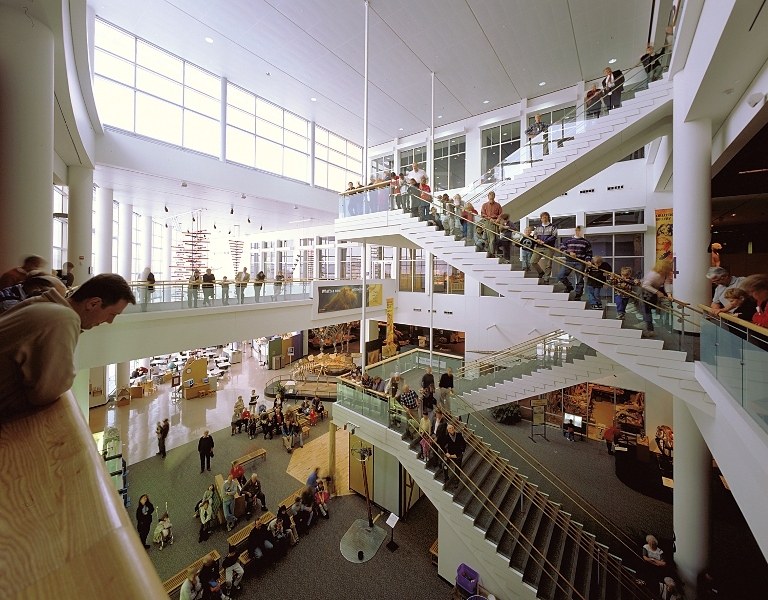 The Science Center of Iowa was originally one of the first interactive science centers in the world. A unique part of this museum is What on Earth? This is an exhibit that allows guests to meet creatures and enduring different types of weather commonly found in Iowa. Also in this exhibit, guests can become TV stars in the WHO-HD Weather Studio, where Channel 13 meteorologists broadcast the weather live from SCI each weekday at noon (weather permitting). At other times, guests are able to forecast weather themselves in front of a green screen. The Science Center of Iowa also includes Blank IMAX Dome Theater, John Deere Adventure Theater and the Star Theater. The museum offers three classrooms for camps and school groups in the Iowa Learning Center: Simulab, Technolab and Physiolab. Through February 2014, student groups are priced at $2 per student. Gateway to Science is the only hands-on science center in North Dakota. Exhibits involve air pressure, light and color, robotic arms, electricity and magnetism. A roller coaster exhibit challenges users to hit a revolving target, make it over hills, and complete loops. The center offers science seminars for specific grades that can be booked online. Gateway to Science assists in authoring requests to several schools’ Parent Teacher Organizations requesting their sponsorship of field trips. Gateway to Science also offers “Traveling Science Trunks.” Each trunk provides teachers and students with demonstrations, activities, resource materials, and a teacher’s guide. Trunks include materials for physics, acids and bases, electricity, insects, plants and water. The Hall of Space Museum is the only non NASA/NASM (National Air and Space Museum) institution to display a flown spacecraft from each of the first three manned American space programs – Mercury (Liberty Bell 7), Gemini (Gemini 10) and Apollo (Apollo 13). Attractions in the center include a digital dome theater, planetarium and a lab where guests can see live demonstrations of early rocket technology. The museum features the German Gallery, Cold War Gallery, Mollet Early Space Flight Gallery, Apollo gallery, and the Hall of Space Timeline. Educators can choose from a variety of packages with optional additional activities on the Comsosphere website. Students should have no trouble finding their way to student-friendly activities in the North Star State. WonderWorks calls itself an “amusement park for the mind,” but its student-friendly attractions include activities for mind, body and imagination. Where else will you find an indoors ropes course along with interactive educational exhibits aimed at boosting kids’ understanding of science, math and art?